We are happy to announce our first Robot Project Contest. People have been building awesome robots from our kits and parts for 15 years. We want to do a better job of recognizing and rewarding these efforts. The contest will have two categories. The first category can be any project that is based on a Lynxmotion robot kit. This can be anything from a Robotic Arm or Rover to a Johnny 5 or 3DOF Hexapod. We’re looking for anything that has been added or modified to improve the aesthetics or the functionality of the robot. 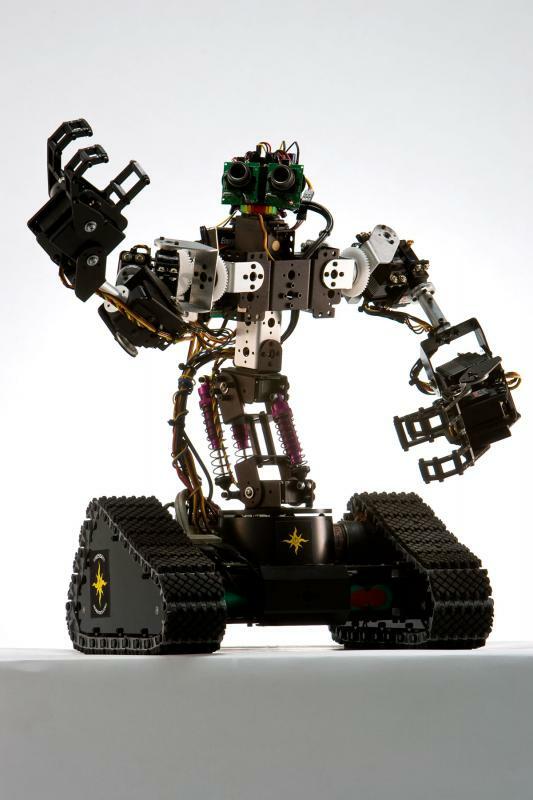 Your take on your favorite movie robot, or your version of a Mars Rover would be cool. Submitting a stock build is not likely to draw much attention. The second category can be anything created with our Servo Erector Set series of brackets and components. For this category we are looking for something unique, interesting and different. It must use the SES components as the primary construction material. The entries must be posted here in this section of the forum. Even if the robot has been posted in other sections of the website. The first post is the submission, so you should edit it to keep it up to date. The entry must have quality higher resolution images and clear video as a minimum. We will also require a full write up of the parts used, the problems solved, or the inspiration for the project, etc. We need details. At the time of this writing we do not have the ability to host the images or video. You will need to find a place to host them for now. You are encouraged to post what you have as soon as possible. You will have time to edit your post to fulfill the contest requirements as you require. Our own custom Pico-ITX based Johnny 5 will be cheering from the sidelines! Go get em guys!